Tony Award-winning director Bartlett Sher returns to Lincoln Center Theatre next season with his revival of the beloved Lerner & Loewe musical My Fair Lady. Immediately our office burst into discussion of possible Eliza Doolittle actresses. Would it be the long rumored Anne Hathaway? What age is too old to be considered? Should it be a fresh, unknown making her debut against a famous Henry Higgins? The debate raged on. 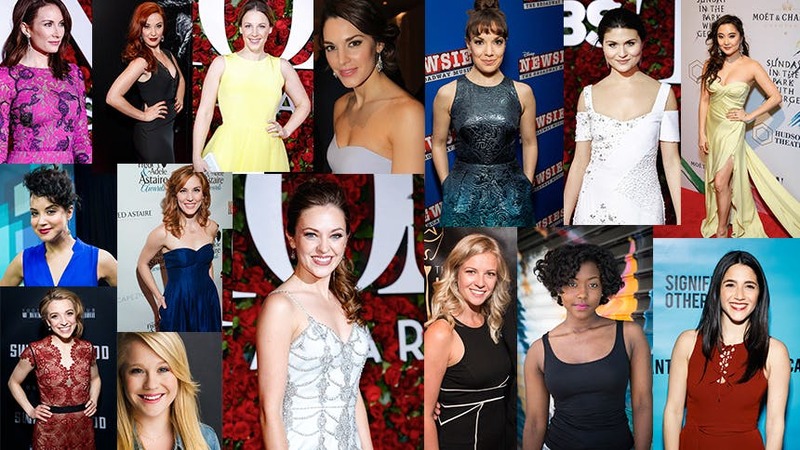 In the end, here are 15 Broadway actresses (alphabetically) we'd like to see follow in the footsteps of Julie Andrews, Christine Andreas, and Melissa Errico and grace the stage as the Cockney flower girl turned lady. The Doctor Zhivago leading lady just played the role to rave reviews and great buzz out in the Hamptons. The fan favorite on Twitter, Benanti worked with Bart Sher on Women on the Verge and delivered one of her most memorable stage performances. Sher discovered Bashor during The Bridges of Madison County, and since then her star and her talent have only grown. Sierra Boggess showed the audiences at Carnegie Hall's Guys and Dolls that she can do comedy like few other soprano leading ladies can; and anyone who has seen her Christine Daaé knows that she reinvents the wheel in the best way possible. That voice. That face. The star-quality. I'm sold. We are still not over this version of "Your Daddy's Son", and we know there's a breakout, star-making performance on the horizon for this Waitress cast member. As Wicked's Glinda she showed us she has all the notes and comedy; as Katherine in Newsies she showed us she has the fire. Listen to how that soprano soars! Also, Bart Sher gave Massell her big Broadway break as Hodel in Fiddler. We could all be majorly LOL at the Beaumont with this Tony winner, who has the legit untapped soprano in her. Bart Sher brought Laura Osnes in to replace Kelli O'Hara in South Pacific at LCT, and it totally changed her career. It would be something to see them reunite at LCT for My Fair Lady. Park, who just starred as Tuptim in Sher's The King and I revival, is stealing the show over at Sunday in the Park with George. She'd nail the comedy needed for a great Eliza. Again, a Sher alum (Fiddler) and a leading lady on the West End who could more than handle the scope of Eliza. Listen to this! What can't this former Glinda do?! It might just be his go-to leading lady. Miss Kelli O starred in Bart Sher's productions of The King and I, The Light in the Piazza, South Pacific, and The Bridges of Madison County. Is Eliza next? 'My Fair Lady' begins previews March 22, 2018 at LCT's Vivian Beaumont Theater.